The software segment has a vitally important share in the sector’s total revenue in the region’s larger markets such as Romania, Bulgaria, Serbia, Croatia and Slovenia. The SEE IT sector’s need for highly-qualified IT specialists is constantly growing, pushing up salaries and tertiary education graduates in IT. The well educated and cheap workforce in the region has attracted many large international IT majors such as Hewlett-Packard, SAP, Cisco Systems, IBM, Intel, Microsoft, Oracle and Redhat. The SEE IT companies are mainly focused on the outsourcing of software development and testing and website design. As demand on the SEE markets is limited, the bulk of local IT enterprises, especially software developers, rely on exports to support their growth. The future of the SEE IT market looks promising but not for all segments as hardware sales are expected to decline while those of software should grow fuelled by the demand for innovative software solutions. The SEE IT market is concentrated on five countries – Romania, Slovenia, Bulgaria, Croatia and Serbia. The Business Software Alliance and The Economist Intelligence Unit included four of them – Slovenia (25th place), Romania (37th), Croatia (40th) and Bulgaria (43rd) in their IT Industry Competitiveness Index 2011. The index, measuring five indicators, shows improvement in the positions of Slovenia and Bulgaria, while Romania and Croatia stepped back in 2011. 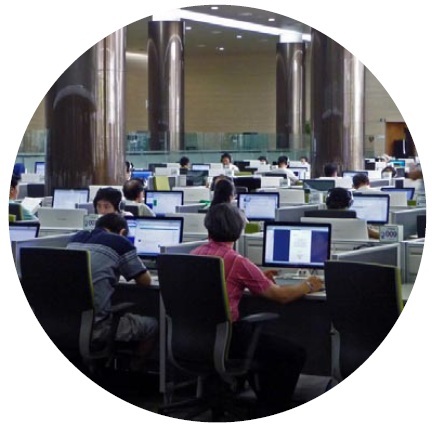 With the development of the IT sector in zzthe region a shortage of highly-skilled personnel on the local markets begins to be felt. Prior to the global economic downturn, Romania’s IT sector grew much faster than the country’s GDP – by an average of 25% per year. The economic crisis depressed the Romanian IT market in 2009 but growth resumed in 2010 and in 2011 the sector continued to perform better than the national economy. The Romanian Institute for Computers has estimated the annual growth rate of the hardware and electronics segment at 7.0% and the growth of the software and IT services segment at 8.0% in 2011. Romania is an attractive outsourcing destination, including for the IT sector. The country’s comparative advantage is based on the highly skilled labour force, geographical and cultural proximity to western Europe and the welcoming business environment (there is no income tax for software developers). Romania, with a population of 19 million, is the first in Europe and the sixth in the world in terms of the number of certified IT specialists per capita, according to the U.S. 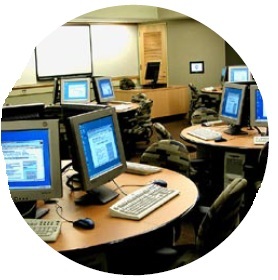 IT certifications provider Brainbench. The Slovenian IT market is recovering from the global economic downturn. Domestic demand for IT products and services is still lagging behind its pre-crisis levels but some segments are showing potential for considerable growth in the next few years. The introduction of new IT services such as cloud computing should boost the sector’s development with software sales outpacing those of hardware. Slovenia has a matured software market compared to other countries in Southeast Europe. Nearly 80% of the biggest employers in the country are already using Enterprise Resource Planning (ERP) systems and the software vendors should focus on other products to maintain growth. Demand for enterprise application software (EAS) continues to be dominated by large companies but more than 64% of the newly installed EAS is in small and medium-sized enterprises, according to market intelligence company Business Monitor International (BMI). Unlike most of the sectors of the Bulgarian economy, the IT industry showed stable performance in both 2010 and 2011. But it was not domestic demand that supported the IT sector – the IT companies, especially the software developers, counted on foreign clients to keep revenues intact. The main hurdle in front of the future development of the Bulgarian software industry is the shortage of highly qualified personnel in the country. If the problem persists, the Bulgarian IT industry could miss the chance to grow tenfold in the next decade, according to market experts. The shortage of well-trained specialists forces Bulgarian IT companies to outsource part of their activities to firms in Macedonia and Serbia or to hire foreign nationals. The Serbian IT market has been one of the fastest growing sectors in the national economy until 2009 when it slumped to 424 million euro from 550 million euro in 2008. In 2011 the sector started to recover, growing by 4.7% from the previous year. Serbia’s IT industry is concentrated on the country’s largest cities – Belgrade, Novi Sad and Nis with more than half of all companies based in Belgrade. The IT sector in the country is still underdeveloped with 51% of the companies having nine or less employees in four sub-sectors: manufacturing of computers, electronic and optical products; computer programming, consultancy and related activities; information service activities, and repair of computers and personal and household goods. Croatia’s IT market is among the major ones in SEE with total revenue estimated at 770 million euro in 2011. According to the IT Industry Competitiveness Index 2011, the main advantages of the country, with a population of 4.3 million, compared to the other main SEE markets include well-developed IT infrastructure, investor-friendly legal environment and reliable government support for the development of the IT industry. In 2012, government spending on IT development will be supported by EU programmes in light of Croatia’s EU accession planned for the middle of 2013. According to market research firm IDC Adriatics, smaller and underdeveloped IT markets in SEE such as Albania and Bosnia and Herzegovina performed better than some of the region’s major markets in 2011, growing by 5.5% and 5.1%, respectively. The increase on the Albanian market was driven by investments in IT by the government and the telecommunications sector. In Bosnia and Herzegovina, IT spending was positively influenced by modest GDP growth and the introduction of a countrywide electronic cash register system. The Macedonian IT market edged down by 0.1% to 143.2 million euro in 2011, according to IDC Adriatics. The sector had to cope with insufficient government IT spending and investment from telecommunication companies. The total revenue of the leading SEE IT companies went up by 30.4% on the year to 1.407 billion euro in 2011. The growth rate figure does not include the result of Nokia Romania SRL, which reported a 40.3% slump in its total revenue. Including the performance of Nokia Romania SRL, the total revenue of the top 10 SEE IT companies went down by 12.3% year-on-year to 2.388 billion euro in 2011. The company closed down its factory in Cluj-Napoca, Northwestern Romania, last year which had a negative impact on its revenue. Nokia Romania SRL was also the only leading SEE IT company to report a net loss in 2011. Hewlett-Packard Global Delivery Bulgaria Center EOOD expanded its activities and grew most – by more than 63% – among the top 10 SEE IT companies last year. It was followed by Romania’s Dante International SA with a growth rate of 53.4%. Celestica (Romania) SRL and Asesoft Distribution SRL also performed very well with total revenues jumping by more than 40% in 2011. The outsourcing of IT processes and services to SEE is constantly expanding and the region shows a considerable potential for growth in the short term. Bulgaria and Romania seem to be the region’s most attractive outsourcing destinations judging from the A.T. Kearney’s Global Services Location Index for 2011, which ranks the best countries for outsourcing activities. In the Index, Bulgaria holds the 17th position, between the UK and the USA, and Romania stands on the 25th place. Both countries sank by four spots compared to the previous year. The IT companies from the major SEE markets have to decide whether to remain traditional outsourced businesses, to combine ITO, BPO and value-added services based on innovative technologies, or to outsource part of their own activities to companies in the smaller and cheaper countries in the region such as Macedonia, Kosovo, Montenegro and Albania. 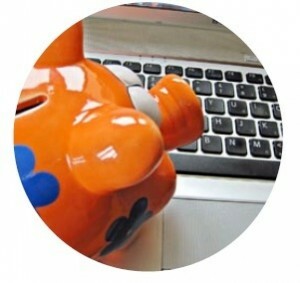 Most market analysts expect the IT market in SEE to grow in 2012. The most optimistic forecasts are for increase rates of between 10% and 15% but we expect a slighter rise because of the unstable economic environment. 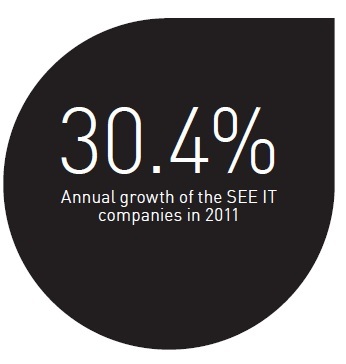 EU cohesion funds will be a major growth support factor for the IT sector in SEE. According to data published by Erste Research, in 2011 Romania obtained 252 million euro in EU funds for ICT projects and Croatia received 750 million euro for the period between 2007 and 2011. Serbia received 200 million euro in EU pre-accession aid, Montenegro some 35 million euro, and Kosovo 70 million euro. Other growth drivers in 2013 will include focus on innovation and cloud computing, as well as IT solutions for the fast developing telecommunication technologies. And last but not least, the IT companies will stick to the rule of thumb in use since the beginning of the crisis: lower costs mean higher efficiency.